Your company's professionalism should carry through to all your paperwork. When it comes to sending quotes, letters or any form of paper / electronic documentation, it is essential to keep your clients aware of your brand and company details. 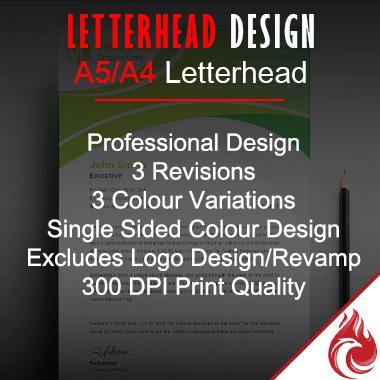 We will design a professional Company Letterhead for you to use with all your paper / electronic communication.